June is Men’s Health Month. With Father’s Day around the corner, now is a great time to start passing fatherly wisdom about good oral health habits to the children important in your life. Here are five ways you can start conversations about oral health with children to make a lifelong health impact. First, lead by example. Men are less likely to seek preventive dental care, and tend to visit a dentist only when an oral health problem arises. 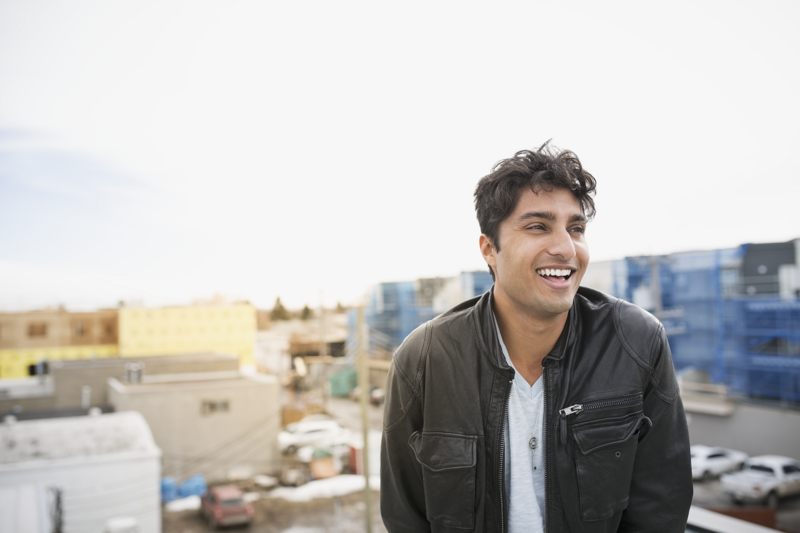 This leaves men more susceptible to experiencing more serious oral health issues. Demonstrate that preventive dental care, like brushing twice each day, flossing once daily and regular visits to the dentist, are key to keeping a healthy smile. Skipping dental visits or daily brushing and flossing can cause serious issues and require more extensive and expensive treatment later on. The National Institute of Dental and Craniofacial Research found that men are more than twice as likely as women to develop malignant oral cancer. Early detection and treatment of oral cancer brings the survival rate to 80 percent (it’s 50 percent if not detected early). Dentists can spot specific signs and symptoms of more than 120 diseases, including oral cancer, as part of a routine dental exam. As people tend to visit their dentist more frequently than a regular physician this allows dental professionals to detect many diseases early. Remind children that other behaviors, like tobacco use, may increase the risk for oral cancer. We all know that tobacco can negatively impact your overall health, but did you know that it can cause major oral health issues? Men who smoke are more likely to lose their natural teeth. An average male smoker will lose 12 natural teeth by age 72, while a non-smoking male will lose 5.4 teeth on average at the same age. When you discuss tobacco with children, make sure they know the risks that chewing tobacco can pose to their oral health. Smokeless tobacco can cause oral, esophageal and pancreatic cancer. Teeth are not meant to be used as tools. Make sure that children understand that using their teeth as a tool heightens their risk for cracked or even chipped teeth. If this occurs, a root canal may be necessary in the future to fix the tooth. Encourage children to make thoughtful choices when opening something tricky – like cracking nuts, opening bottles or holding items like an extra set of hands. You can even offer to lend a hand to get that tricky jar open! Life can be unpredictable. Thankfully, you can take preventive steps with children (and adults) to protect their mouths when playing sports or engaging in hobbies like skateboarding. A mouthguard is an important piece of equipment that helps protects teeth when there is a chance for tooth damage. Talk to your dentist about the best type of mouthguard to help protect your child from mouth injuries that can pose a risk to smiles. See why mouthguards are recommended for every recreational activity and learn what to do in the event of a dental emergency. Check out TruAssure’s oral health library for more oral health resources. Follow us on Twitter and Facebook for the latest updates from TruAssure.